You can escape into a character. I'm the one who has to look in the mirror, and after a while it begins to eat at you. I don't watch my movies. I just get too critical of myself. I did the 'Tonight Show' once, and I choked up. I get intimidated. I think I may have become an actor to hide from myself. Whoever said nothing is impossible obviously hasn't tried nailing Jell-O to a tree. John Candy knew he was going to die. He told me on his 40th birthday. He said, well, Maureen, I'm on borrowed time. I think I may have become an actor to hide from myself. You can escape into a character. I thought to myself, Join the army. It's free. So I figured while I'm here I'll lose a few pounds. New Updates! (4/21/2019) We've been working really hard on completing our membership system so you can submit quotes and keep track of them. Once this is complete in the coming weeks there will be a lot more quotes by John Candy and other authors. We've also changed the sorting on the site so you now see the latest John Candy quotes first. 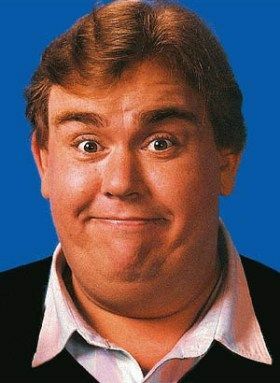 Our goal is to have the best John Candy quotes on the web!